Why go through the pain? Well, Android is ramping 6x faster than iPhone. 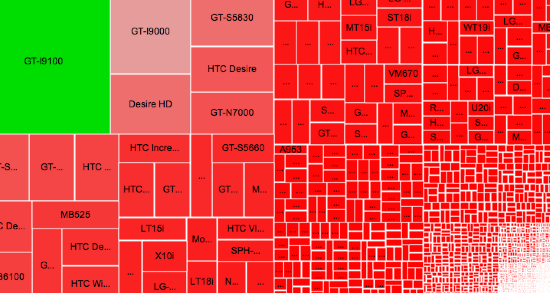 The iPhone is great, but the large mass market is Android. You’re going to have to be there. 1) Study the OSM map. Pick the top 5-10 handsets to focus on. Develop for them only. 2) Draw a line in the sand. Instagram did this when they launched on Android this spring- they simply didn’t support a range of Android handsets based on an OS line (2.2 and above, thank you). Apple is notorious for doing this as well. Follow their leads. 3) Use testing tools. Testdroid, DeviceAnywhere, Perfecto Mobile, etc. These tools allow you to do more testing than you normally could in house and possibly on handsets you’ll have difficulty getting. Use them (they’re inexpensive, or free). 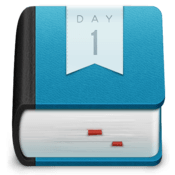 Day One offers a well designed journal app. Twitter and Facebook are great for shouting to the world, but sometimes you’d like to keep your thoughts to yourself. Day One is a great app that lets you do that. You can set a reminder for any given period – I have it set weekly, and I type a few lines about what’s happening. Available for both iOS and Mac OS X.
I’m a cyclist. Strava is hands down the easiest to use app I’ve come across. It works on your iPhone, your Android device and also can handle data from your Garmin. If you cycle and want to track your training, and see how you compare against yourself and others- grab this now. It’s free, although if you love it, I’d recommend you upgrade to their Premium service. Available on iOSand Android. I have an account with Etrade – logging into their mobile app is a pain. Wikinvest lets me keep an eye on my portfolio and the news- all protected with an easy to use 4-digit pin code. Available on iOS and Android. Strava is a great place to track your cycling, and My Plate is a great place to track what you’re fueling yourself with. This is the best site I’ve found to get a good picture of what I’m eating – and has a large enough database to auto populate with what you’re eating – so you don’t have to enter too many details. Once you’ve used the app for a week, it understands what you normally eat, so those foods are right at your fingertips. It costs $2.99, but is worth it. Available on iOS and Android. Keeping a handle on your finances isn’t easy. Mint.com isn’t available in Europe, so I’ve spent a lot of time looking at – and testing- various financial applications. Money from Jumsoft is by far the best in my opinion. The apps are simple and well designed, and syncing between my iPhone and Mac desktop has been seamless. 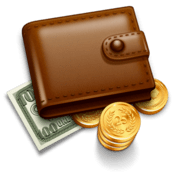 The apps aren’t cheap – but, I knowing where my money goes (I know, into these apps…). It also handles non-US currencies just fine (which is not always a given). Available on iOS and Mac OS X.
I’m not 100% happy with the Gmail iPhone app, but I’ve been using it since launch and I will say I like it. A lot. 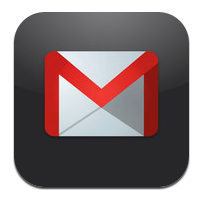 A native app would be much better and more responsive, but the functionality offered by a Gmail app is fantastic. I do prefer the Gmail app over the native Mail app for managing my gmail account. Available on iOS and built into Android.